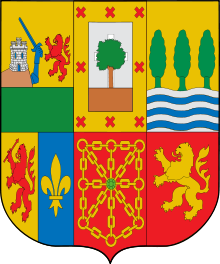 Not to be confused with its homonym constituent parts. 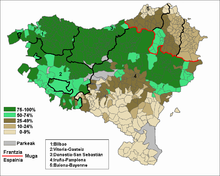 For the Spanish autonomous community, see Basque Country. 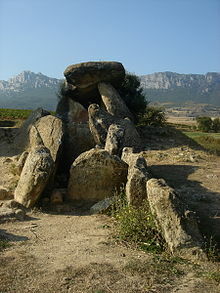 For the French region, see French Basque Country. 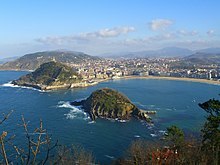 For the unofficial Basque territory in Spain, see Southern Basque Country. 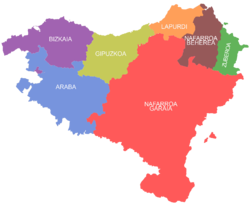 The Basque Country (Basque: Euskal Herria; French: Pays Basque; Spanish: País Vasco) is the name given to the home of the Basque people. 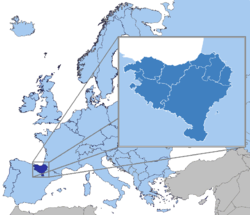 The Basque country is located in the western Pyrenees, straddling the border between France and Spain on the coast of the Bay of Biscay. 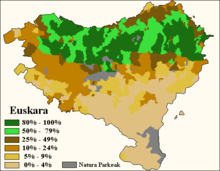 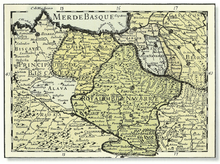 Euskal Herria is the oldest documented Basque name for the area they inhabit, dating from the 16th century. 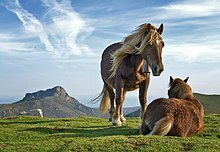 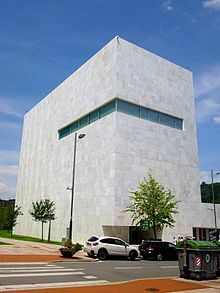 Wikimedia Commons has media related to Basque Country.